Posted on February 26, 2017 by Matthew Sotiriou / This entry was posted in Uncategorized. Bookmark the permalink. VON ERL started off as the innovations department of an Austrian medical technology company. Their products combine the experience of 50 years of precision craftsmanship, the expertise of highly skilled specialists and an enthusiasm for new technological solutions. Their team is a family of connoisseurs: passionate vapers, techies and creative people who in their daily work strive to provide customers with an even more intense vaping experience. 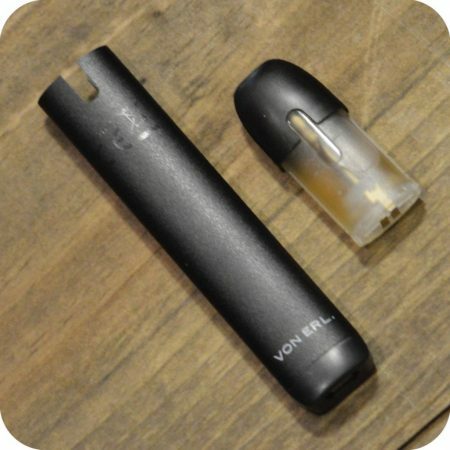 VON ERL E-cigs come in both a closed and open system. The main difference between Open and Closed System e-cigarettes is the way the e-liquid is delivered to the heating mechanism. Open System e-cigarettes have a clearomizer which is filled with e-liquid manually, whereas Closed System e-cigarettes use tanks, which come ready-filled with e-liquid, and screw directly onto the e-cig battery. Open System e-cigs also have a removable mouthpiece, whereas the mouthpiece on Closed System e-cigs is built into the e-cigarette tank. 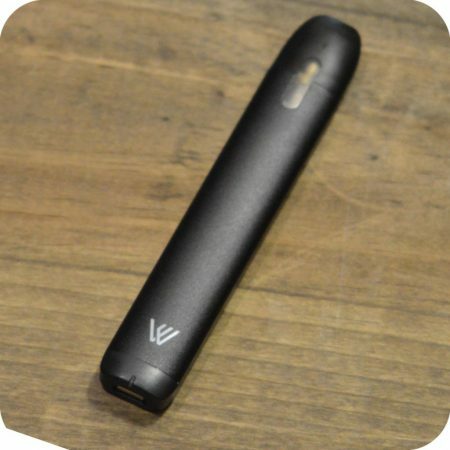 Closed Systems are referenced often as Pod mods — all-in-one e-cigs that attempt to blend the ease-of-use of a cig-alike with the robust experience of an enthusiast device. These vapes have a battery and a cartridge. You pop a cartridge onto a battery and you’re good to go. Usually the company who creates the closed system manufactures the e-liquids pods as well. 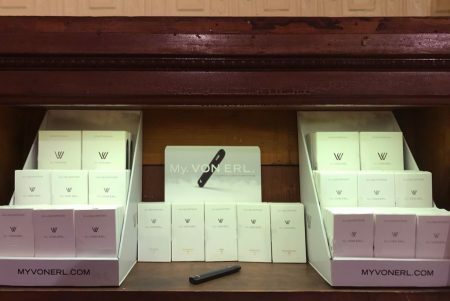 VON ERL does produce their own line of leak proof pods, but also collaborates with other top-shelf mixers like Cuttwood & Frisco Vapor in producing signature pods for their closed systems. The My. VON ERL. raises the bar for cigalikes: Because of its small dimension it fits in every pocket. It has a great vaping performance and also looks awesome.The great vaping performance of an e-cigarette combined with the modern design of a cigalike. The battery takes a half an hour to charge, with 350 mAh guarantees a great vaping performance. 2ml tank, lasts 8hrs+. Two tanks last a full day. The VON ERL. Liquidpods for this e-cigarette give you an intense vaping pleasure with a great taste. The Liquidpods are already filled and easy to change. Swing by either Sunflower Glass store location or order here.